And, eureka! In a league onto himself, is Raffi. But learning to live with dignity means learning about what it’s like to live without it and the nefarious forces that try to take it away. “Apathy is the enemy of democracy. And through apathy, tyrants can gain power,” Raffi said to me about why he’s been so vocal about Trump in a recent interview. But if you look closely, these messages have been in his music forever. “And I need some clean water for drinking / And I need some clean air for breathing / So that I can grow up strong,” he wrote in his 1979 hit “All I Really Need.” The lyrics resonate like an anthem for basic human rights, rights that are still unfortunately being fought for 40 years later. Like many of his songs, it is a blueprint for human kindness in its most pure, essential form. In recent months, the 70-year-old singer has gained a bit of attention for his active, politically engaged Twitter feed where many posts are accompanied with the dissenter’s slogan du jour: #Resist and #ResistFacism. Raffi’s outspokenness around Trump and his policies goes back to when he was elected. Just last week the singer called Trump unfit for office, racist, and misogynistic. In December he said we must “fight fascism with everything we’ve got.” Seemingly trite, the addition of Raffi’s voice to the American political landscape is actually invaluable — the singer-songwriter is the premier emissary for children and his positions carry with them an incredible weight. And the children, after all, are the future. Recently I spoke to him about the nexus between children’s music, politics, and human decency. Raffi is not quiet about his opinions. But, he rejects the label “political” being affixed either to his personal outspokenness or music, though he has songs that tackle issues like climate change, peace between Israelis and Palestinians, and most recently, his love of Bernie Sanders. (By the way, Bernie, if you’re reading this Raffi “wishes you well” this time around and said it’d be “interesting” if you asked him to sing his song “Wave of Democracy” at your upcoming rallies). He seems to view being political as artificial, an act of external performance: He’s as taken aback by the idea that he is political as he would be if I’d called him a politician. “Maybe just like the troubadour that I am, I seek creative ways of self-expression,” he told me. “I seek the right [to] expound about who I am the way that I feel that I am,” he said when pressed about his unwillingness to be labeled political. “It’s not a big deal to me. I don’t go around having debates in my head as to whether I’m political or not. I just have a way of speaking, I just have a way of presenting what I’m passionate about. That’s what I do” he said. But a few moments later he spoke about treating climate change as an emergency, saying, “Unless a rapid shift to a low-carbon economy happens like yesterday, you’re gonna face a very, very tough world.” It’s easy to dismiss the way Raffi couches his activism as a cop-out, as a way to insulate himself from accountability. But the singer doesn’t hide his beliefs; they’re always there in his music and on his social media profiles for everyone to see. Admittedly, I always thought identifying as “not political” seemed like a privilege. But there is something I’m finding in Raffi’s fine print: You can hold a unique space in the political landscape when you insist that your political positions aren’t political at all, but borne out of self-evident, universal values. Raffi Cavoukian is an immigrant two times over. Born to Armenian parents who had escaped the genocide, the singer, 70, spent his first ten years in Egypt. At ten, his father moved their family to Toronto. Of immigrating to a new country he said, “You learn to forgive. You learn to be strong in your identity. And even while you’re learning a whole new culture; so quite the transition.” In early March Raffi tweeted, “blame the inciter in chief…how’s that for false patriotism,” in response to an article posted by Chelsea Clinton with the headline, “Counties that hosted a 2016 Trump rally saw a 226 percent increase in hate crimes.” With me he took his big-stick approach. “Children are people,” he said about child separation. “The reason we don’t want corporeal punishment, let alone separation from their families, is that you don’t hit people. It’s not okay to hit people. Children are people, so we don’t hit them. By the same token, you know, if you respect children as people, you don’t separate them from your families.” It’s a simple statement, a seemingly unremarkable one. 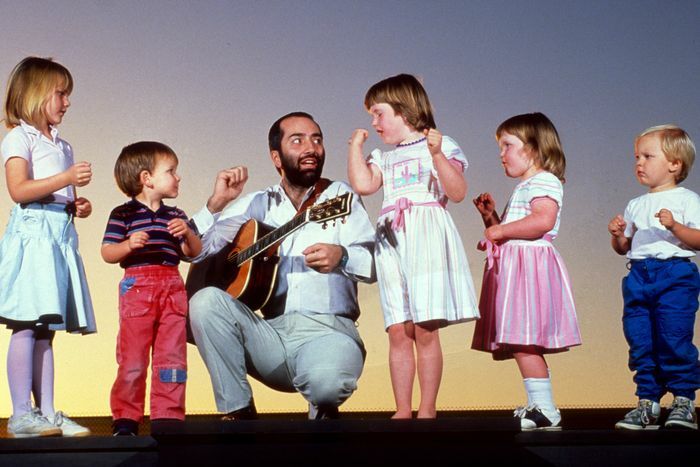 But if you were to put Raffi’s words to a tune, it’d be a heartfelt children’s song, there to teach us how to treat each other. And it reveals more yet about Raffi’s belief that children should be considered as whole and serious human beings. When you’re fighting your way through the sludgiest sociopolitical turmoil of your lifetime, it can be hard to remember your values, or even what you’re fighting for. 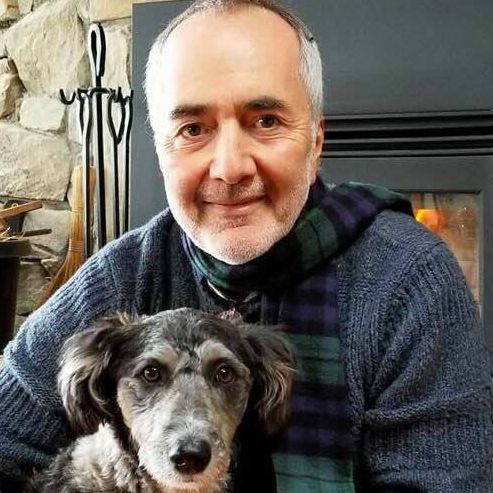 Raffi reminded me, over and over again, that care for the earth, for democracy, for human decency is pretty much paramount if we want to even have a future. I guess sometimes you need a children’s singer to remind you what’s important.